On Friday the 8th of November 2013, we had Dr Ross Dwyer (ross.dwyer@uq.edu.au) from the ECO-Lab at UQ visiting us and giving a talk about telemetry and the R-based software that he and his colleagues have developed to analyse the telemetric data they gather in the field-especially to get to know the life of estuarine crocodiles. He talked about V-track, which is useful software to analyse acoustic detection data (http://www.uq.edu.au/eco-lab/v-track). 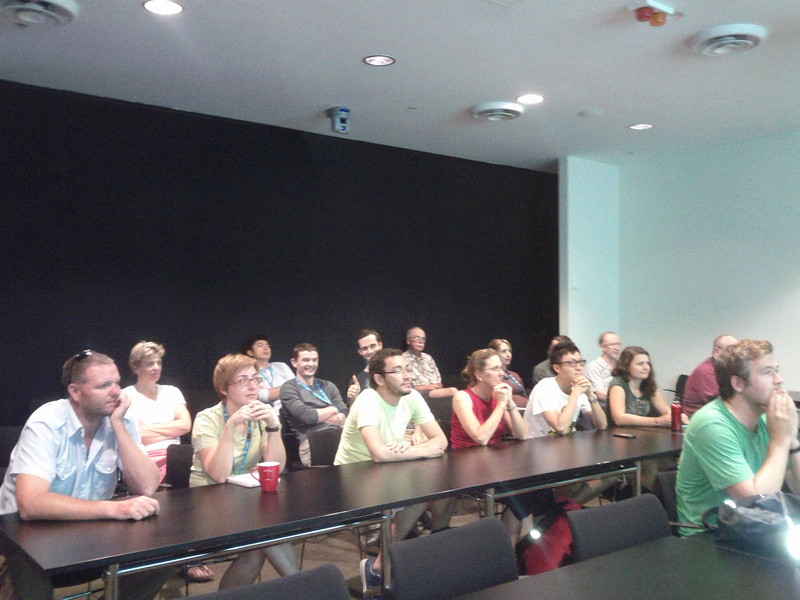 He also presented Oztrack (http://oztrack.org/) which helps analyse and visualise animal location data (GPS data). ← How good are we at detecting ecological change? It depends on where you look!